This week, Apple announced a few new or updated products via press release. One of those was a brand new iPad model. Known only as iPad, it’s an update to the 9.7-inch iPad model but staying below the new Pro line in terms of functionality. There’s been some confusion as to the iPad’s name, as well as Apple’s approach to its design and price. But if we take a moment to analyze its name, I think we can put the rest of the details into place. Apple is calling this simply iPad. Specifically, it shows up as iPad (5th Generation)1 on Apple’s site, which is leading to issues on Wikipedia, as the iPad Air was unofficially known as the 5th generation iPad. Why is Apple calling it the 5th generation iPad? Ultimately, I think we can consider the iPad itself having ended as a product line with the 4th generation iPad. When a new 9.7-inch iPad model debuted in 2013, it came with a new name: the iPad Air. This began a new line of Air model iPads. These models kept pushing the envelope forward in terms of weight, thinness, and power. I still think the iPad Air 2 is a very capable iPad, even if Apple no longer advertises it on their website. That said, the iPad Pro line is yet another new line of iPads. 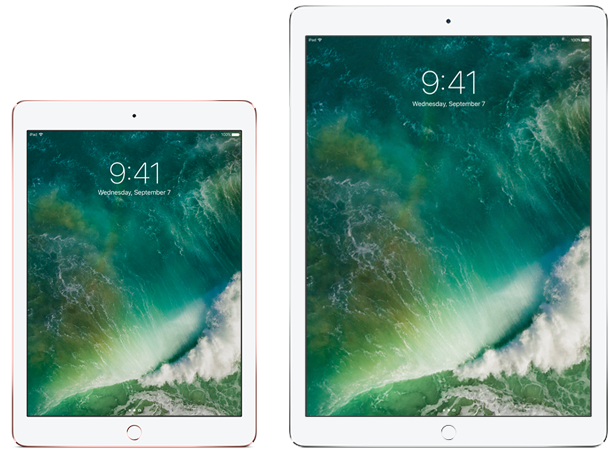 The fact that the iPad Pro 9.7-inch model happens to have identical dimensions to the iPad Air 2 just shows the evolution of that sleek, powerful design. With the Pro moniker, Apple is clearly targeting the iPad Pro towards those wanting to do more with their iPad. Looking to do serious work? Here’s an iPad that also supports a convenient Smart Keyboard and state-of-the-art Apple Pencil. What about the consumer? That’s where the iPad (5th Generation) comes in. This iPad isn’t a new Air model. This isn’t related to the Pro models at all. Instead, this is the follow-up to the iPad 4. As such, it’s able to get away with a few things. First, we can revert to the design of the iPad Air. Sure, it means the iPad is thicker than the Air 2. But it still is a great size and, more importantly, is still close to 1 pound in weight. That makes this iPad one you can hold for a longer period of time than the iPad 4 (or older). This older design also shows up when we look at the various technologies used in the iPad (5th Generation). The display is still of Retina quality, but it lacks the anti-reflective material that’s built into the latest iPads. We also see Apple resorting to the older antenna bands for the LTE models. However, despite having some older technologies in this new model, they can also throw in some very capable internals. The A9 chip, while technically over a year old, is still more powerful than what’s in any other consumer-targeted iPad model. This puts it on par with the iPhone SE, another iOS device considered to be for those looking at a more price-friendly option. This leads me to the second point: price. Because Apple is using a mix of older technologies and designs along with semi-newer chipsets (which, as a volume purchase, likely cost less the more Apple integrates them into products), they can also release this iPad at an amazing price: $329 for 32GB. That’s the lowest any new 9.7-inch iPad model has ever sold for. Apple is going to create two tiers of iPads like they’ve done for years with the MacBook line. The average consumer will go for a powerful-but-not-too-powerful MacBook, while professionals will grab the MacBook Pro. Similarly, the iPad line will be what most consumers will need. And at a new lower price point, there’s very little reason for someone to get one of these iPads, especially as an upgrade from an older model. The iPad Mini will never again have the top-of-the-line specs. 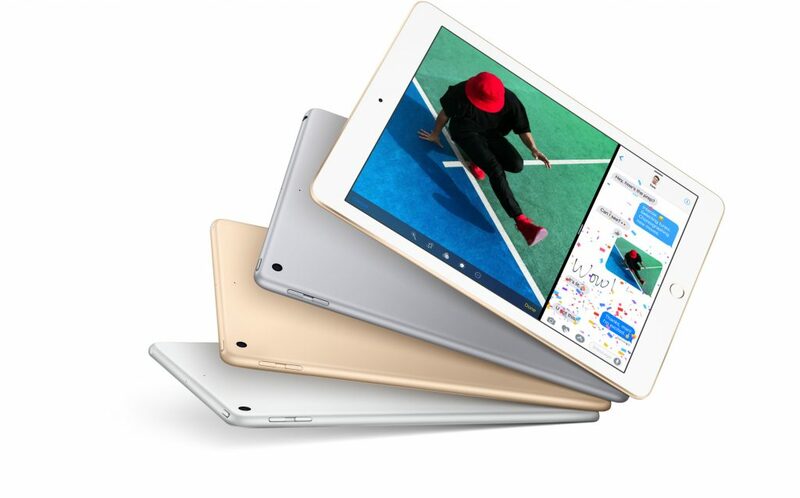 Right now, the only iPad Mini left in Apple’s lineup is the iPad Mini 4. The only configuration is a 128GB model for $399. I still think the iPad Mini line has a place with certain audiences, but at best it will share the same specs as the new consumer iPad line. At worst, it will disappear completely. Overall, this new iPad will be a very positive thing for Apple. The lower price should bring in new iPad owners, as well as move those with anything older than an iPad Air 2 to upgrade.